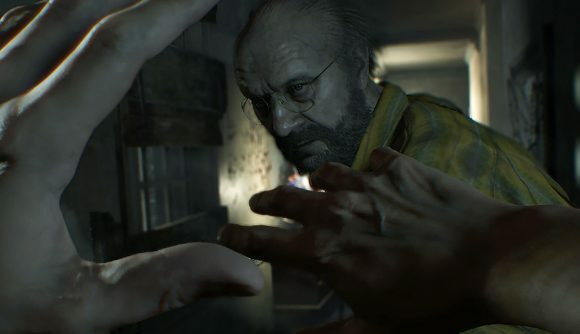 Resident Evil 7 launched with the controversial piracy protection of Denuvo. Now, the DRM layer has been removed. The change quietly hit the Steam release last night, and is part of a growing trend for studios to remove Denuvo in the months and years after launch. Capcom hasn’t provided a reason for the change, but if the DRM was holding you back from the series’ soft reboot, now you’ve got no reason to stay away. This comes just over two years after RE7 originally launched. Its DRM protection was cracked in record time, just a week after release, which led to some predicting a swift end for Denuvo’s anti-piracy efforts. Of course, that didn’t happen, and more recent Denuvo releases have taken anywhere from days to months for scene groups to crack. Denuvo workarounds are still a matter of ‘when,’ not ‘if,’ though the protection layer is continuing to do its job in terms of stopping piracy during biggest sales period immediately after launch. Capcom has similarly removed Denuvo from other Steam releases at various time frames – Marvel vs. Capcom: Infinite ditched the DRM a year after release, and Mega Man 11 only hosted the protection for one month. We’ve reached out to Capcom for further info on the reasons and timing for the removal, but we didn’t receive an immediate response. SteamDB confirms that the anti-tamper protection was recently pulled, as noted by DSOGaming. Whether this points to any future strategy of reduced Denuvo use remains to be seen, and the recent launch of Resident Evil 2 still makes use of the DRM. Other Japanese publishers have been making inconsistent use of Denuvo. Sega, for example, has pulled the DRM ahead of the Yakuza Kiwami PC release date, but the company is also publishing the Denuvo-protected Total War: Three Kingdoms in a few months. Judging by early indicators of Resident Evil 2 sales, Denuvo’s presence has done little to dissuade players from hopping in. It’s Capcom’s second-biggest launch on PC, and it hosts an ‘overwhelmingly positive’ rating from the community on Steam.